These days, more and people prefer hiring domestic cleaners to take care of their home. With the outstanding amount of responsibilities we need to fulfill each day, it's no wonder why we need extra help. There are plenty of amazing benefits of hiring a domestic cleaner. You will be able to see and feel the difference once you're tried it. It's one less thing for you to worry about so you can concentrate on more important matters. Houses need to be kept clean, tidy and organized at all times in order to ensure that it will be in top condition. 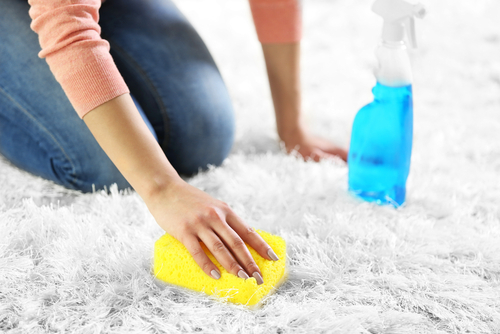 Having dust, dirt and other bacteria living inside your house is hazardous to your health. The best way to combat this problem is by hiring a domestic cleaner. Today, let's discuss about the 7 Reasons Why Domestic Cleaner Is Gaining Popularity. If you're a parent, you would most likely need to be in the office for most of the day to do your job. When you get home from work, you're usually too tired to take care of household chores. Instead of having to do everything yourself, you can hire a domestic cleaner to help you. This way, you will be able to replace the time spent on cleaning the house with bonding with your kids. If you're single and still studying, there are also plenty of responsibilities you need to fulfill. You will have assignments, projects, and deadlines to manage. 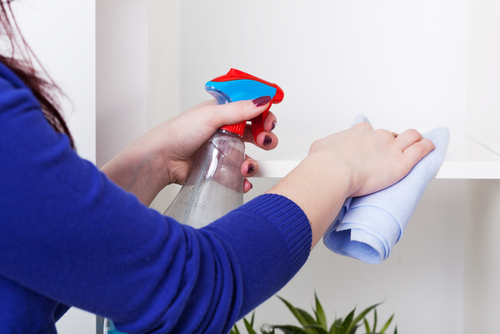 It is very common to let household chores be the last thing on your priority list. However, you will need to live in a clean, tidy and bacteria free environment if you want to stay healthy. Living in a place where there's always a huge mess is not conducive for your success. There is actual evidence of studies made which has proven that people are more productive when they are surrounded by a clean and tidy environment. Once in your life, you may have experienced your room being very messy with all your clothes lying on the floor, plates are everywhere and too much dust have accumulated. Did you feel inspired and motivated being in that environment? Surely, you didn't. If you surround yourself with unorganized clutter all the time you will never get things done on time. Hiring a domestic cleaner can help you solve this problem. In most households, both the husband and wife have full time jobs. They are also responsible for raising their children. As a result, cleaning the house becomes very challenging because of time constraints. It's a good investment to hire a domestic cleaner to help you out. She will be able to clean your house, do the dishes and do the laundry. You will be stress free after coming home from work seeing your house in a perfectly tidy condition. When you decide to go on a family holiday, no one will be left inside your house to look after it. You don't want to be on your vacation worrying about what is currently happening back home. A domestic cleaner will be able to provide her cleaning services while looking after your home. It is a great form of security measure which is both convenient and affordable. You'll be able to enjoy your vacation to the fullest knowing that there's someone taking care of your home. Holidays should always be about having fun and enjoying the company of your loved ones. A domestic cleaner will make sure that everything in your household will be in perfect condition when you get back. One of the main reasons why domestic cleaners are getting more and more popular is because of the satisfaction they provide. As the person who pays for their services, you can create your own set of standards. This means that you can pick and choose which one is able to fulfill your needs in the best way possible. If you're not satisfied with the services you receive, you can always talk to them and explain exactly what your expectations are. This way, it will be easier for them to adjust their quality of work to meet your standards. 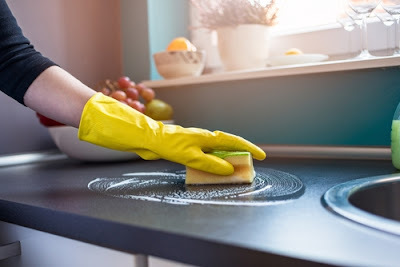 If you want the assurance that the household cleaning will be done appropriately and efficiently, you can rely on the services of a domestic cleaner. Most of the time, if you ask your children, spouse, friend or relative to help you with the chores, it is not done correctly. Even if it was, it's still a hassle to continuously beg and plead for someone's help. Your home is an important part of your life. It should be a place of relaxation, fun, enjoyment and bonding. Just like you, the people you're asking help from most likely have their own responsibilities to fulfill. Hiring a domestic cleaner will help solve your problem once and for all. The best thing about hiring a domestic cleaner is the ultimate convenience it comes with. You will be able to choose your most convenient time to have their services done. It can be daily, weekly, every two weeks, etc. depending on your preference. You will have the ability to ensure that it wouldn't clash with your schedule. It's very easy to locate specific agencies who have an array of reliable and efficient domestic cleaners. They will be more than happy to provide their services according to your needs. You can personally visit an agency, call them up directly or contact them through email. Even if you're a busy person, it would only require a few minutes out of your day to hire one. Once you've successfully hired them, you can get their mobile number so that you can text them anytime you require their services.